It’s likely that somewhere in your home, wood is featured. Be it a book case, set of drawers or simply the doors. 2016 will see a focus on wood as it becomes an interior trend so consider building on it! The great thing about wood as a material is not just the amount of finishes it comes in, but the way it can seamlessly fit in with a modern or traditional setting. It is both tactile and homely, with it being easy to clean and providing a warm naturalistic and fresh vibe. In the Interior design world there’s always a quest for the new, styles and materials change often. We are always on the quest for practical and stylish materials to use within our homes but few materials stand the test of time like ‘wood’. Wood has been used for decoration, flooring and the fabric of buildings too. 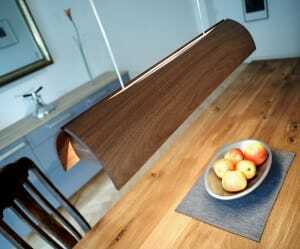 Throughout the centuries we keep gradating back to the tactile warmth of wood. It seems wood can never fall out of favour it just gets re-invented. Wood details are great for rustic styled homes, grand castles, Scandinavian paired back, beach house, urban living or industrial styles. Pale blonde woods have a modern vibe whilst dark colours have a cosseted feel that is great for creating atmosphere perhaps better for dining rooms, pubs, bars and restaurants. We all love the enduring beauty and resilience of wood, it’s perfect for family living. The odd bash or scuff is simply ‘charm’ which in a family environment can be just as well! A primary concern which has grown over the years is deforestation, because of this some people prefer to opt for wooden products from sustainable sources or indeed use faux wood, which can be surprisingly realistic and just as practical too. Sustainable sourced wood is wood that is harvested from sustainably managed forests, the stewards monitor the land ensuring that the forest will still be there years and years down the line. It’s an environmentally friendly way of sourcing wood. We’re all used to wood effect floor tiles, laminates and vinyl flooring but wood has become a little more of a style statement and you’ll find accessories in wood faux panneled walls, and even light fittings made to replicate wood. Good news for those who have a mismatch of styles within your home add a few wooden accessories and lights and the look immediately seems more solid and considered. Coordinating wooden ceiling lights to the flooring looks great, and then everything in between seems to belong to the space. A personal view is, we perhaps have the need to feel connected to nature. The amount of tech in our lives is somewhat overwhelming so as we all become more reliant on technology we need the balance of the natural world. Things have changed and there’s now plenty of lighting with real faux wood details. 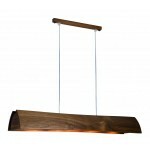 The trend for wood interiors is seeing some innovative new lighting designs and we are keen to share them with you. 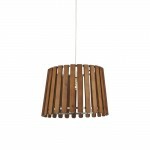 There’s a wooden pendant light to enhance most styles of homes. Here’s a few of the newest pendants we hope you like as much as we do. Oh ‘wooden’t’ it be nice to have one of these in your home. 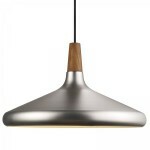 Perfect for lighting over a dining room table or kitchen island. A simplistic design suitable for any setting. Would look great in a row above a wooden counter. 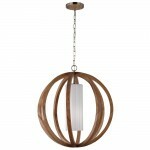 Picture this decorative piece over a large dining room table or in a long drop stairwell, a great class filled statement light sure to take centre stage in the wooden theme. This beautiful pendant bar would be perfect for lighting over a breakfast bar or wooden table, a smart and functional light perfectly suited to the trend. 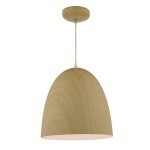 A contemporary design pendant with a wooden inspiration, great over kitchen islands. A great option for those with an already modern setting looking to integrate the latest trend. For those looking for a quick makeover the Fence is a shade suitable for any suspension in keeping with the wooden trend. No time for an electrician? No problem! 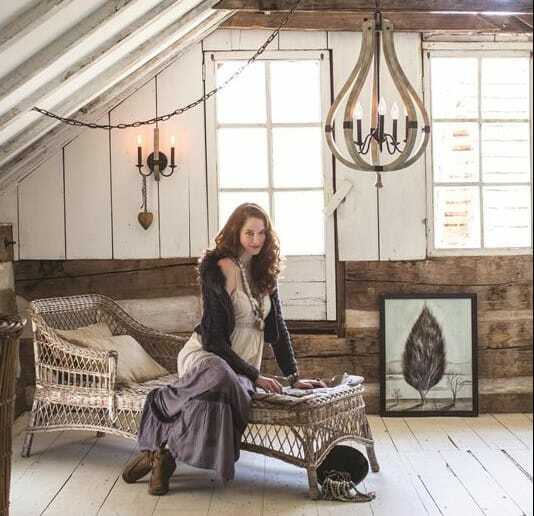 These are all great for adding the texture, warmth and rustic feel to your living space. Which one catches your interest? Why not head to twitter or Facebook and give a shout out to your favorite? 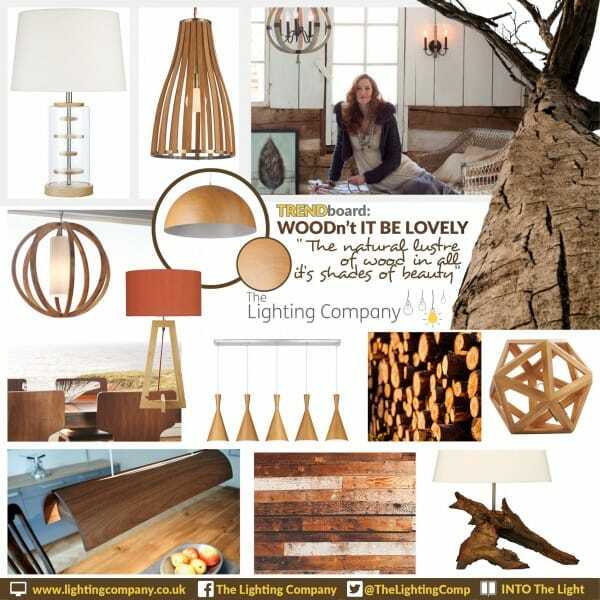 There are many many more pendants as well as floor lamps, table lamps, wall lights, spotlights and other ceiling lights which can be found here: Wooden Trend Lights. Have you crafted your home into this latest trend? Let us know, and feel free to send in a picture! We’d love to see your results. You may also be interested to know we have a FREE magazine full of inspiring content, sign up to our newsletter below for your FREE copies!